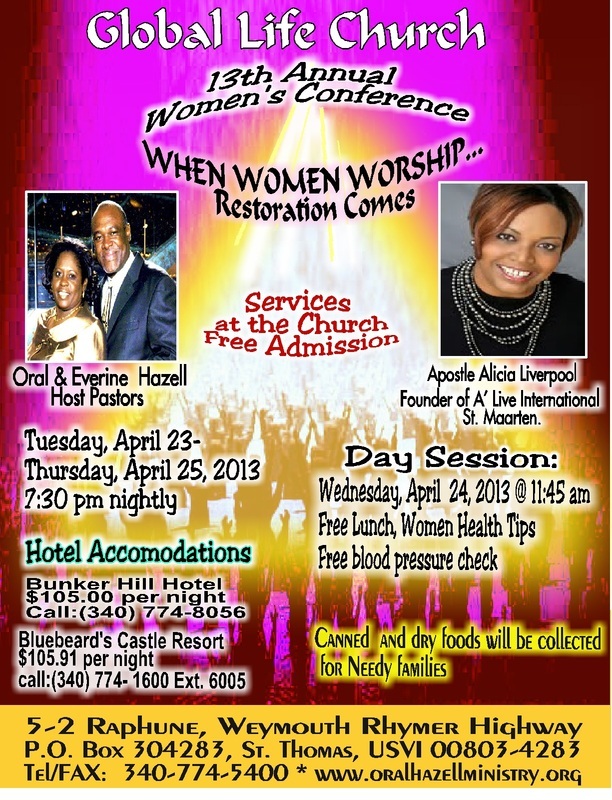 Pastors Oral & Everine Hazell invite you to our “When Women Worship... “When Women Worship… Restoration Comes!” Tuesday, April 23 through Thursday, April 25, 2013, 7:30 pm nightly ;with ONE Day session on Wednesday, April 24, at 11:45 am. Free Lunch will be served on Wednesday DAY SESSION. The Guest Speaker, Apostle Alicia Liverpool, Founder of Á Live International, St. Martin and guest Minister of Music, Peter Sagnia, of St.Martin. Services will be held at Global Life Church; 5-2 Estate Raphune along the Weymouth Rhymer Highway, St. Thomas United States Virgin Islands. Free Admission. 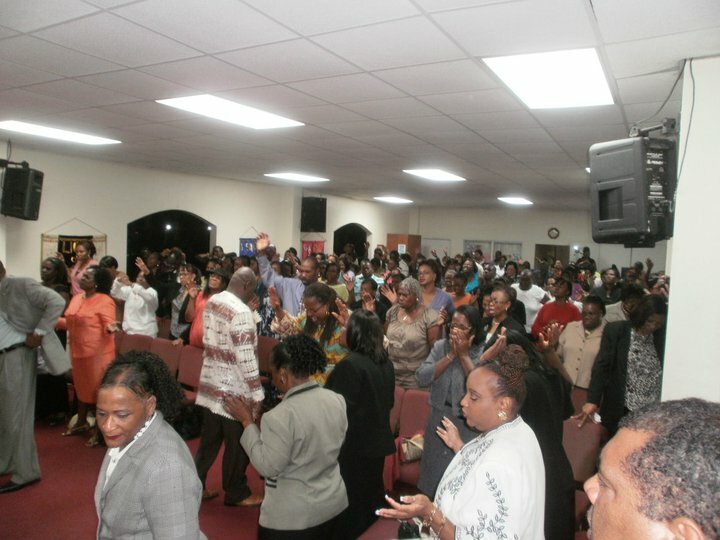 For information call (340) 774-5400 or visit www.globallifechurch.org or visit www. oralhazellministry.org.